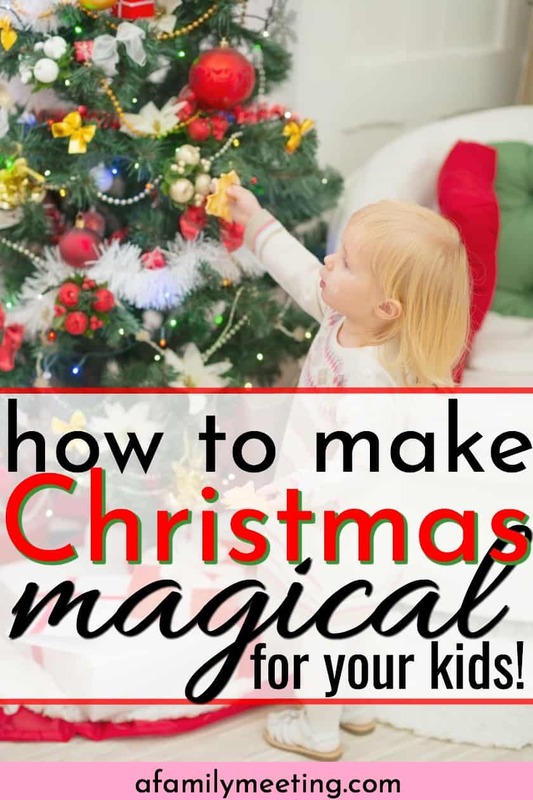 How to Make Christmas Magical For A Child - Fill Your Child's Heart With Wonder! 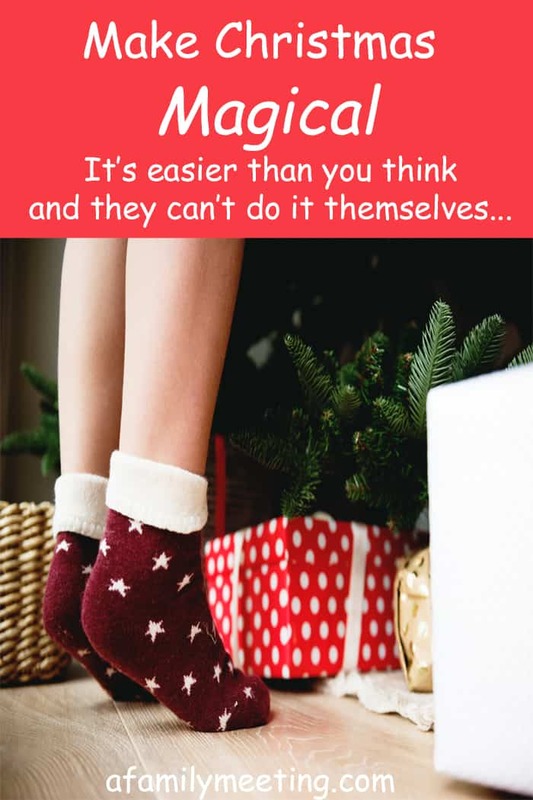 You are here: Home / Connecting / Family / Family Traditions / How to Make Christmas Magical For A Child – Fill Your Child’s Heart With Wonder! 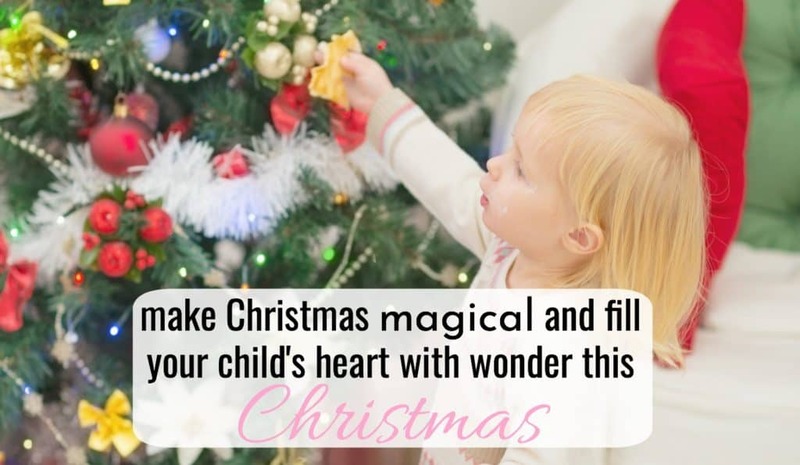 How to Make Christmas Magical For A Child – Fill Your Child’s Heart With Wonder! Spend much time in the car, listening to the radio during the month of December and you’ll hear Christmas music. We have heard these songs so many times, we know them by heart. “I want a hippopotamus…” “Tiny Tots with their…..” Wait! What?! TINY TOTS? Driving along and like a blow to the stomach with a simultaneous slap to the face, bringing tears to fill my eyes… I realize, I only have ONE tiny-tot left! The other three are beyond their tiny-tot years and I have roughly only 8 chances left to really understand how to make Christmas magical for a child. EIGHT CHANCES! We start out with only 18 chances, to begin with. Let’s face it, some kids lose the magic well before eighteen. I don’t have any particularly magical Christmas memories of my own, past the age of 13. Certainly not because my parents did anything wrong. Simply instead because I insisted on growing up too fast! 18! Eighteen! It is not a matter of perspective. Eighteen is just a small number. Of all the approximately 1080 months we get on this earth (that’s 90 years, for those of you pulling out your calculators,) a mere 18 of those can be remembered as special, joyous, magical times at Christmas in childhood. 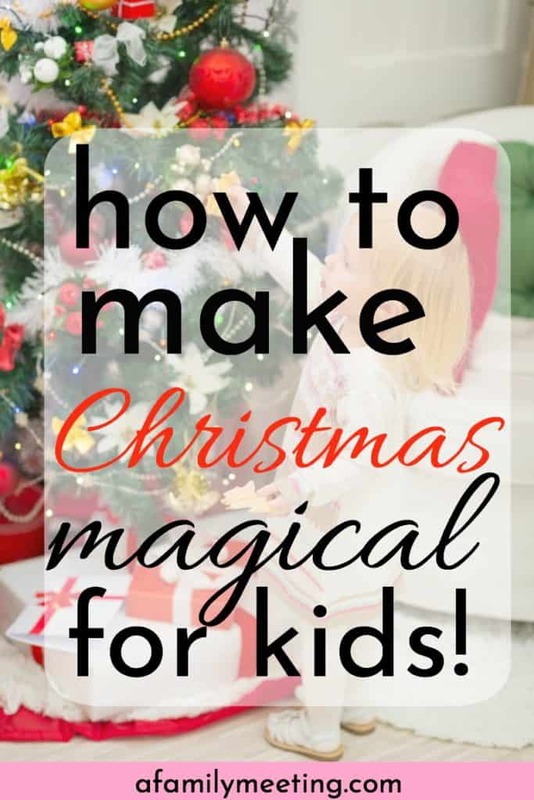 Are you doing all you can as a parent to make Christmas magical for your children? It’s easier than you may think. You should create a magical Christmas season for your child, full of wonder because he can’t do it for himself. Read on… I’ll show you how. It AIN’T about the presents! First of all, don’t get all crazy over-dramatizing materialism. Christmas and presents go together like peanut butter and jelly. They just do. The Magi brought gifts for Christ’s birth. People join together to provide gifts and clothing to children who live in poverty. Folks loosen their purse strings to supply STUFF to other folks who don’t have any STUFF. STUFF, however, can quickly and easily become the focus at Christmas time. One report from 2016 showed the average parent would spend just over $400 dollars PER child at Christmas. What the….? You’re either reading that and saying, like me, “holy guacamole!” Or, “ya, so… that sounds about right.” Truth is, while I do believe a child can be given too much stuff, families come from all sorts of varying means. Some can buy a little, some can buy a lot. When we spend our 18 chances making Christmas magical, whether children get one gift a piece or 10, is not what they’ll remember when they are grown. How does $50 a child sound? Know what? My kids have ALL KINDS of good memories surrounding Christmas. 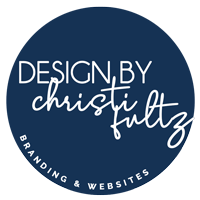 Living on a shoestring budget, with 4 kids, being determined to give them Christmas magic, and being sobering-ly aware of what little time I had while they were small; meant making each memory count. Wish I would tell you how I shopped for my kids with just $50 a child? Well, that will have to wait for another time. But here’s all you really need to know: Don’t buy as much! Kids don’t see things as we do. Now, I’d like to know… what just came to your mind as you read that sentence? A day or two spent preparing for people? Cleaning house? Baking up goodies to serve said people? Maybe playing a game? Entertaining? When looking to make Christmas magical for our children we have to get-over-ourselves. Stop thinking like an adult and think like a child. I’ll admit this is hard for me to do. Even as a kid, I was a bit overly-mature and prudent. So how can you know what it is that feels magical at Christmas time for your child? Ask her! You have to make Christmas magical. Plain and Simple. Recently at a family meeting in our home, we sat the kids down and posed this simple question: What are the 3 most exciting things about the month of December? Some common responses were; lights!, making cookies for the firemen, giving to needy strangers, going to the Christmas tree farm, and decorating. We focused our question on the season and not on Christmas day. The traditions created, memories made and warm-fuzzy-feeling can be carried inside a person forever. A toy can not. So… write down what they like and do those things a lot. Driving around one night a week looking at Christmas lights on homes, costs only the gas. Make it extra special by making hot chocolate to take along. If you cut and buy a real tree at Christmas, look for a farm that offers free wagon/hay rides. The farm we frequent even offers free warm beverages. Don’t want to spend the money on the tree? Just go and ride the wagon! Most Christmas tree farms appreciate the foot traffic regardless. All-purpose flour is cheap. So is sugar. Bake a lot of cookies. Give them away. DO NOT get caught up in vanity. Your kids don’t care what the cookies look like. I. can. guarantee. that. You are the only one wishing they were Pinterest-worthy! Let them decorate the tree (or A tree, if you just can’t give up your perfectly decorated Christmas tree.) Look for trees on sale at Goodwill after Christmas, or ask around. Someone may have a tree they’re looking to off-load. Need ornament ideas? Make a simple pipe cleaner candy cane ornament like this one. Get supplies here and here. Or make these button ornaments super simply. Get supplies here. OR… give them some paper, cut it into star shapes, let them go crazy coloring it, stick a piece of string to it and tie it to the tree! I mean, for real… just don’t not-do-anything because you’re not “craftsy.” Your kids don’t care. They want to be craftsy. And that word means something different to them then it does to you. Get all these supplies delivered to your door for free with Amazon Prime. I just CANT do crafts! Alright… alright… I hear you. Honestly, I have to force myself to do crafts with my children. I am that non-craftsy person I keep mentioning. So, if you just can’t bring yourself to get out the paper and glue (I promise it wouldn’t be as bad as you think,) I have a couple other options for you to make Christmas magical for a child. #6. The dirt-cheap advent calendar. Most Christmas seasons, you can find advent calendars at Aldi for $1.00. Did you catch that… ONE DOLLAR! Yes, they are just a piece of candy within a cardboard cut-out but throw in an internet search on your smartphone (because everyone has one) and you can quickly find something to talk about regarding advent each day for 2-3 minutes while the kiddos munch the chocolate from their advent calendar. Here is a calendar that is similar to the one Aldi has. It isn’t all-about-Jesus, but I can make it all-about-Jesus! What About Christmas Traditions That Purely Give?! I know of one family with a stellar Christmas giving tradition. This tradition is loved and looked forward to by their children ALL. YEAR. LONG. Each Christmas the father of the family gets a cash Christmas gift from work. The family takes that cash, splits it in half, keeps half and gives half away. They way they give it away though is really the star here. In the days leading up to Christmas, they make gift boxes. Small Christmas boxes, they find on clearance after Christmas the prior year, filled with tinsel for padding, Hershey kisses, chapstick, cocoa packets, and other goodies. The final addition to the Christmas gift box is a gift card purchased with their Christmas gift money. Sometimes a gift card in the full amount is put into just one box. Other times, it’s split up to make multiple gift boxes. This varies depending on the amount of money they have to offer and what direction they feel The Lord is leading them. One Christmas Eve, after praying about what neighborhood/houses to visit, the family executes their operation. One adult drives, while the other takes the kids to a door, knocks, leaves the box, and RUNS – fast as their legs will take them – away! When the home resident gets to the door, all that is there is a gift box filled with blessing! Can’t you just feel the excitement experienced by these children? Oh man, I can! The anticipation building as the gift boxes are put together. The decision-making process of where to stop, wishing you had enough to give a box to everyone. The heart-thumping as you sneak up to a door, hoping not to be seen. And the mega-adrenaline rush as they all run away!? Ahh! What an awesome tradition of giving this is. Certain to make Christmas magical!. Another way to give that works well for people on a budget is to support a missionary. Missionary work, is one of those areas where, “many small contributions, add up.” The impact with this has a ripple effect you can’t even imagine. Your financial gift (no matter the size) sends a person, who will positively affect another person, whose life will forever be changed because of it. And your children can watch it all unfold if you choose to follow that missionary’s journey along the way. I just so happen to know a missionary you can be confident will put your money to good use! Read about her here and donate to her here.